When I was a senior in high school, I was suffering from headaches bad enough to affect my quality of life. My doctor recommended a therapeutic massage to release some of the tension in my neck, so I gave it a try. Laying on that table, receiving high quality therapeutic bodywork, my life took a new path. Growing up I had always wanted to go into the health field, but that day I decided: I wanted to be a massage therapist. Two months after graduating from the University of Rochester in 2004 I began my massage studies in my hometown of Washington DC. A year later I moved to Astoria, and graduated from the Swedish Institute in Manhattan in April of 2007. Inspired by working at the New York City Marathon while still a student, I completed the Advanced Sports Massage certification through the Swedish Institute in 2008. Since then I have worked on athletes of all kinds, from runners and triathletes to basketball and tennis players to yogis and dancers. I also worked for the Women’s Tennis Association at the US Open from 2009 to 2012, where I had the opportunity to work on some of the world’s top tennis players. In 2010 I completed my certification in Neuromuscular Therapy. I find NMT to be very helpful in treating chronic pain issues of a muscular origin. Many of my clients come to me seeking relief from this kind of pain, whether it be from sitting in front of a computer 40+ hours a week, collateral damage from an injury or surgery, or whatever else life throws their way. In October 2011 I decided I didn’t want to spend another minute working in a spa and accepted a position at a chiropractic office in Brooklyn, but my start date wasn’t for another six weeks. 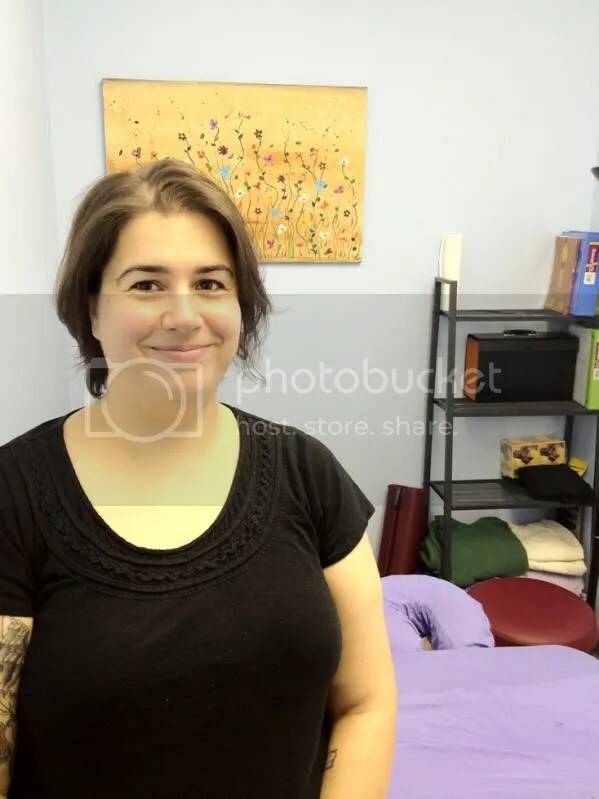 I decided to take this opportunity to see if I could start my dream of building a private massage practice in Astoria. I ended up not needing that chiropractic job after all and have been growing my practice ever since. Some of my favorite things include hockey (go Caps! ), knitting, and rock n roll. And being a massage therapist, of course!